With losses due to wire transfer fraud continuing to rise, a member of Congress raised an important question during a hearing Nov. 14 before the U.S. House Financial Services Committee. U.S. Rep. Brad Sherman (D-Calif.) posed the question about payee matching requirements for banks and other financial institutions to Randal Quarles, a member of the Board of Governors of the Federal Reserve and the vice chairman for Supervision. Sherman started by sharing some background and startling figures about the growing threat of wire transfer fraud. Since October 2013, the FBI reported losses of $2.9 billion in the U.S. due to business email compromise (BEC) or Email Account Compromise (EAC). Since 2013, global losses due to these fraudulent fund transfers has totaled $12.5 billion. According to the FBI, the number of BEC/EAC victims involved in the real estate transactions has increased more than 1,100 percent while there was a 2,200 percent rise in reported monetary loss. Quarles responded by saying the Federal Reserve payments system group is considering that requirement among several other active efforts regarding wire transfer fraud. ALTA Past President Dan Mennenoh ITP, NTP offered the same solution about payee matching requirements last year during a Congressional hearing on data security. 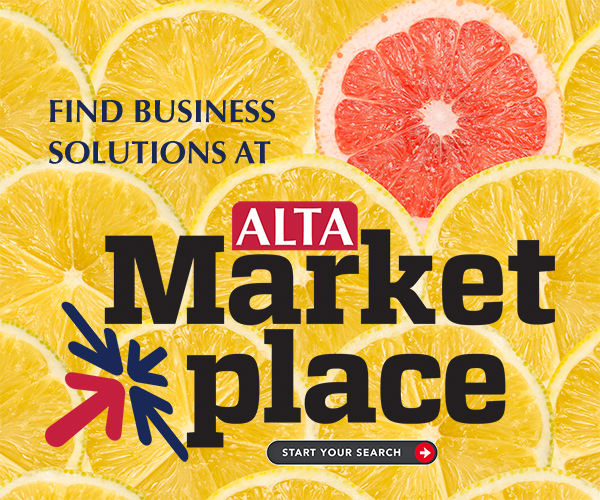 To help raise awareness, ALTA has produced a two-minute video and an infographic that provide tips on how consumers can protect their money and offers advice on what to do if they have been targeted by a scam. In addition, title agents are encouraged to join the free ALTA Registry, which serves as an effective countermeasure to wire fraud.